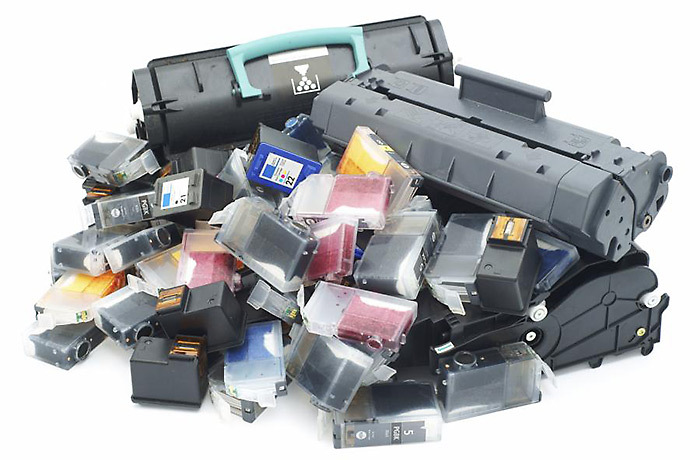 About 500 million printer cartridges end up in landfills each year worldwide, says European Toner and Inkjet Remanufacturers Association. These “empty” cartridges can contain up to 8 percent of unused residual powder by weight and could leach compounds into the soil and underground water sources. In an attempt to reuse this electronic waste, researchers have transformed this substance into oils, gases and even an ingredient in asphalt. Now, Vaibhav Gaikwad and colleagues wanted to develop a brand-new way to re-use residual toner. I think, almost everyone has some history with the computer devices. Somebody still stores in a backroom an old printer-scanner-copier with rather costly cartridge which after buying new furniture occupies too much place. The other doesn’t want to throw away a mammoth-like old desktop as in some decades it will be a rarity. Canon Inc. and Canon Marketing Japan, Inc. will be celebrating 20 years of practicing the recycling of toner cartridges this year. According to the feature, the Canon Toner Cartridge Recycling Program was launched in 1990, then the first of its kind. Eight years earlier, in 1982, Canon came out with the first personal copiers that made use of replaceable all-in-one toner cartridges. In line with the company’s thrust towards “living and working for the common good,” as well as having gained awareness regarding environmental issues such as the reduction of waste and the effective use of resources, the Toner Cartridge Recycling Program was introduced. In the twenty years since its inception, the Canon Toner Cartridge Recycling Program has expanded its reach, collecting empty cartridges in 23 countries worldwide. As of June 2009 Canon has reportedly gathered about 220,000 metric tons of used toner cartridges – tons saved from ending up in landfills! Epson’s EC-01 inkjet printer is the flagship product in their new Environmental Vision 2050 initiative: it’s shipped in an unpainted recycled cardboard box, the manual is printed on recycled paper, and the included driver CD is stored within an envelope made of recycled paper. But what really sets this printer apart is that you don’t replace the ink: when the cartridge runs out, you replace the whole printer. Sounds great! Or is it? A representative of Epson explained: “When you purchase a Coca-Cola, it’s not the bottle that you want, it’s the Coca-Cola! Similarly, when you buy a printer, it’s not the printer that you want but the pages that printer can produce.” So just like you can return a Coca-Cola bottle to reclaim the depost included in the price, so too will you be able to return the EC-01 to Epson to get back 50 euros. The EC-01 ships with an ink tank that is estimated to yield 8,000 sheets. Do you know that toner powder used in toner cartridges is made of oil and the actual volume required to produce 1 pound of toner is 2 liters? Now you do. Currently America consumes over 100 million cartridges per year. That equates to 100 million pounds or 50,000 tons of oil. In an effort to reduce this tremendous amount of nature’s raw materials, PRC Technologies, a division of Print Recovery Concepts Inc., announced a real environmental breakthrough. PRC has developed a way to make toner powder out of soybeans. PRC reports the new cartridges will carry SoyPrint brand label and be available for the most popular laser printers at prices comparable to brand name versions. Soy ink has been available for some time, but this is the first soy toner cartridge for laser printers. According to PRC, the company has been extensively testing new toner for months for the print quality and number of pages per cartridge to match brand name versions. The company says soy toner is absolutely harmless to the printers. More information is available on http://www.soyprint.net/. “Inkjet prints cannot be recycled for new newsprint or copying paper just as old newspapers or magazines,” claims INGEDE, International Association of the Deinking Industry. It turns out, the recycling process doesn’t remove the ink from inkjet prints; the new paper comes out shaded. The recycling paper mills can still cope with single inkjet prints from households or offices. But what printer manufacturers plan to introduce at the “Drupa” fair, the world’s largest printing and paper exhibition, jeopardizes the paper recycling cycle: Direct mail or newspapers printed with inkjet are like a sponge full of ink – and even in small amounts of such printed products can cause the graphic paper recycling to collapse. For a couple of years INGEDE has been trying to solve this problem together with printer manufacturers and other members of the paper chain, but futile. Quite the opposite – those printer manufacturers focused on excellent recyclable dry toners now also offer inkjet systems for high volumes. The association believes that publishers and mailing designers need to be informed, as even a single publisher investing in this kind of equipment could severely harm paper recycling all over Europe. INGEDE plans an intensive information campaign in the forefront of the “Drupa” fair. Clearly, inkjet printed news and direct mail do not fit into the higher-grade paper recycling system. That is why possibly this kind of printed products have to be clearly visible marked as “not recyclable”. The dry toner performs very well in the paper recycling process that originally has been developed for the removal of offset and gravure inks. A series of tests by different European research institutes on behalf of INGEDE has confirmed these findings. 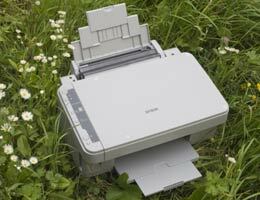 For those of us who are environmentally conscious, all the above means we’d better stick to laser printers, if we want to be greener. Hewlett-Packard is boosting its effort to effectively recycle used inkjet printer cartridges, Wednesday introducing a new process that manufactures new cartridges from recycled cartridges that are separated and rebuilt from scratch. The “closed loop” process gives used HP inkjet cartridges a sustainable end-of-life value and puts the material back to good use while being environmentally friendly. The process first breaks down plastic in printer cartridges made of PET (polyethylene terephthalate), after which additives including fibers and resins are used to strengthen and regenerate the plastic. The remolded plastic is then used to manufacture new HP inkjet cartridges. The plastics or cartridges are not melted, refilled, resold or sent to a landfill, HP said. The process also applies to other products, like PET water bottles. The process, which went into pilot in 2005, has already resulted in HP manufacturing 200 million printer cartridges. The process will go into full manufacturing now. Each inkjet cartridge contains 70 percent to 100 percent recycled material. Users will find the process beneficial as cartridges with new material perform better than used or refilled cartridges. HP allows users to return inkjet cartridges worldwide for free in most cases through its recycling program, said Ken Fleming, marketing director of supplies for HP. In some cases, a postage-paid return envelope is provided by HP with the inkjet print cartridge box. The process will apply only to HP cartridges, the company said. No external inkjet cartridge brand is being put through the new recycling process. Before the implementation of the new process, not all plastic recovered went into making new cartridges. They were used by others to manufacture products including auto parts and toys. The inkjet cartridge recycling initiative is the latest in HP’s broad effort to be environmentally friendly. HP recently announced that it would implement more energy-efficient technologies across its PC lines to reduce computer energy use by 25 percent in 2010. Just like any other industry, printers and printer supplies manufacturing produces lots of waste. The problem of supplies, that is toner and ink cartridges, is nowadays solved by remanufacturing or recycling. 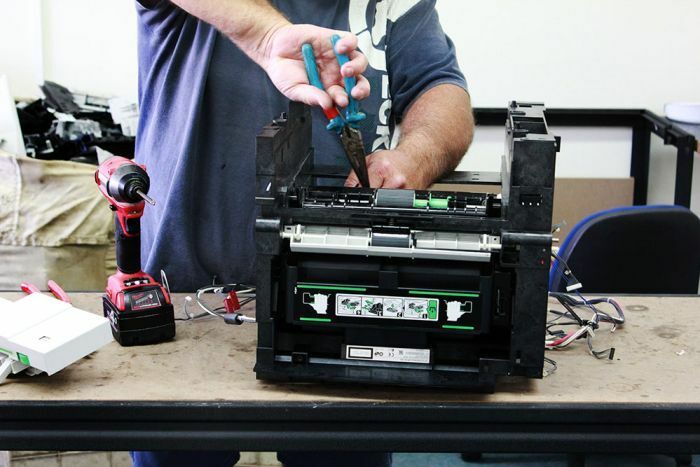 Remanufacturing, roughly put, is a process of reconstructing of a cartridge; we’ve discussed it our previous article, you can read it to get the details. 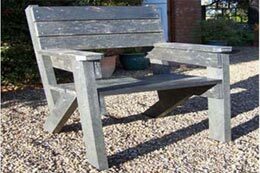 Recycling means physical destruction of an object into raw material and creating new items from it. And it is recycling that is the topic of today’s post. Let’s suppose you like Samsung laser printers so much that you own one. Now let’s assume you are so green that mere idea of empty cartridges going into landfill makes you turn red. All that provided, there is a really good news for you. Just the other day Samsung launched the STAR program, which stands for Samsung Takeback And Recycle program. This program offers free return and recycling of empty Samsung toner cartridges and two options to do so. The first way is to look inside a box of new Samsung toner cartridge. Inside you will find a pre-addressed, pre-paid FedEx shipping label. You can use new cartridge’s box as a container for the used cartridges, and put the label on it. Then you just contact FedEx for a free pickup, or drop the box off at any FedEx offices. The other was is a bit more complicated, but fun if you’re an addicted internet surfer. Go to www.samsung.com/starus where you can print out the same pre-addressed and pre-paid FedEx return shipping label. After that, repeat your action from the way one. When done, you can rest assured you’re saving the world from waste landfills. By the way, did you ever wondered what is created from recycled cartridges? Cartridges again? Not always. Waycam promises 100% recycling and no landfill or incineration. Apart from toner cartridges, the company also recycles TVs, laptops, computers and monitors. Isn’t it a great way to commemorate the equipment that served you long and well. 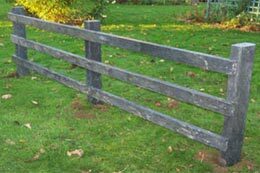 Or banish what served you short and bad. Most of us have a printer that, of course, uses cartridges to print. No big deal. Sooner or later, those cartridges get empty and utilized. This is amazing, but with current level of environment care and protection, most printer cartridges end up in landfill. The share of cartridges that are recycled or reused in a way, don’t even reach 50%, according to a new research done by InfoTrends. The notorious “razor and blades” business model of printer makers suggests selling cheap hardware and making up on printer supplies. That has little to do with supporting environmental goals, since such approach generates more and more new toner and cartridges. On the other hand, original equipment manufacturers prohibit third parties re-manufacturers in every way from collecting, re-filling and recycling cartridges. According to the InfoTrends research, gigantic amount of printer cartridges are used daily, and both original and third party manufacturers are eager to collect the largest amount of empty cartridges possible. The two sides have different way of dealing with collected cartridges: OEMs recycle them; broking down into component materials, while the re-manufacturers refill and resell cartridges, at lower prices. Third-party party supplies companies collect 70% more empty OEM toner cartridges and 700% more empty OEM inkjet cartridges than the OEMs themselves. Through remanufacturing, 3rd party supplies companies are able, on average, to reduce overall demand for new cartridges by about 20%. 80 percent of re-manufactured toner cartridges and 86 percent of re-manufactured inkjet cartridges are thrown away’ because it is uneconomic to refill them again. Transparent and public reporting of environmental performance was not available from several OEMs or any of the re-manufacturers surveyed. Those who support environment protection unlikely to see the situation changing until printer makers shift to other business model and start to design printer cartridges for reuse.